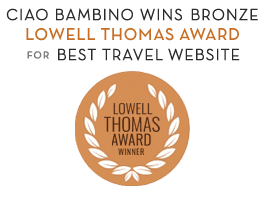 Luxury Family Vacations - Ciao Bambino! A luxury family vacation means something different for each family and for each trip. It could be a restful stay at a 5-star resort, where your personal butler handles everything from unpacking your suitcase to arranging special meals for picky eaters. Or maybe it is a complex international trip that feels effortless because of on-the-ground support from the world’s best service providers and exclusive experiences. For families who seek out the best of luxury travel when on vacation with kids, our agency is perfectly suited to help ensure the entire trip is customized around your preferences. Our luxury Family Travel Advisors offer personal attention with keen attention to detail and access to amazing perks and activities that families could never source on their own. Picture being greeted on the tarmac when your plane touches down, receiving complimentary room upgrades upon arrival at a top-notch hotel and walking into the most popular tourist attractions before they open to the public. Every luxury vacation starts with incredible accommodations, and we have deep knowledge of luxury hotels and resorts for families in every corner of the world. Our Advisors provide luxury clients with the kind of intel that can’t be found on Google, such as which room configurations work best for a multigenerational group, which suites have the best sunset view to celebrate that special anniversary or birthday and which spa treatment is most indulgent. Put our qualified expertise to work and allow us to guide you to the perfect 5-star property that exceeds the entire family’s expectations. Some families seek out luxury experiences beyond the hotel or resort, especially in exciting destinations that lend themselves to action, interaction and immersion. If it is on your family’s bucket list, we can make it happen, from a cooking class with a Michelin-starred chef in Paris to a private balcony for watching the Palio horse race in Siena. And sometimes luxury is all about personal attention and exclusive access — such as our favorite guides who know how to engage children in meaningful ways or limited entry to popular sites, like the Crown Jewels in London, before or after they’re open to the public. All destinations can offer visitors a touch of luxury, but some are proven winners for their incredible elegance, beauty and level of service. Imagine having an entire island to yourself, like the exclusive hire of Necker Island in the Caribbean. Or hop from village to village off the Italian coast on a private yacht. Perhaps you fancy whiling away your vacation days in a luxury villa rental, complete with private chef and staff so you never lift a finger. We’ve arranged all this and more for our clients. Some of our favorite destinations and luxury hotels and resorts are profiled below. It’s only fitting that one of the most exclusive islands in the world is home to one of the world’s best luxury resorts, the Cotton House. It’s the only major hotel on this private West Indies isle, and families love the personal plunge pools, dedicated nanny service and horseback riding on the beach. Plenty of tourists visit Italy each year, but only a lucky few get to experience the country as a luxury destination. It starts by booking clients at countryside gems in places like Tuscany, Puglia, the Amalfi Coast, and Lake Como, or the very best of Italy’s urban hotels in Rome, Florence, Venice and Milan. However you want to splurge on your dream Italian vacation, we can make it happen. It’s been our top travel planning destination for more than a decade and counting. Luxurious doesn’t have to mean exotic and far-flung. Get off the beaten path without sacrificing comfort at resorts like Blackberry Farm in Tennessee or any of our favorite luxe dude ranches. Indulge in pure relaxation at America’s 5-star beach properties. Or experience metropolitan finery at our go-to posh urban hotels. Nothing says luxury hotel quite like a fairytale castle experience. That’s why we love accommodations like Ashford Castle, Adare Manor and Dromoland Castle, which not only cater to families with kid-friendly rooms and activities, but also offer the very best scenery and service in this beautiful destination. South America may not come to mind as a top luxury destination, but Chile’s 5-star hotels make it worthy of just such a designation. Take a resort like Vik, for example, where the facilities are an homage to exquisite modern art and the natural surroundings are even more picturesque. Or try Vira Vira, where by day you can explore the landscape via horseback and by evening ease into a thermal bath. Discerning families flock to Turks and Caicos for many reasons, but mostly because two of the top Caribbean resorts are found here. The only thing better than the crystal-blue water that surrounds these islands is the beauty and service found at resorts like Parrot Cay and Grace Bay. The southern tip of Africa ranks high on many luxury travelers’ wish lists, and it works well for families for many reasons, including its mix of urban appeal and safari adventure. We can book your family in an amazing Cape Town hotel like One&Only and coordinate a luxury safari throughout South Africa to follow. Those who seek something a bit different might consider a journey on the Blue Train, a 5-star hotel on wheels. If your family appreciates the finer things in life, France offers them in spades. From its food to its wine, from its exclusive beach resorts to spectacular Paris, it is a luxury lover’s playground. We’ve personally explored every arrondissement in Paris and dozens of towns and smaller cities in regions throughout France to ensure that our recommendations are the best of the best for families. Don’t travel all the way to New Zealand without partaking in luxurious stays at the country’s finest hotels. Favorite 5-star resorts in New Zealand include Hapuku Lodge and Treehouses and Bay of Many Coves, both of which are truly destinations in themselves. Our return clients, who seek out our firsthand knowledge of these luxury destinations and their premier hotels and resorts, benefit from the personal relationship they develop with their dedicated Family Travel Advisor. Repeat clients often tell us, “You know what my family wants better than I do!” Ciao Bambino’s affiliation with Virtuoso means our clients are backed by the world’s leading luxury travel network. Plus, our relationships with the best hotel general managers, concierges, guides and activity suppliers mean they know us (and our clients) by name. We’re not the least bit surprised when our clients call during a trip to ask if we can extend their luxury vacation by another day or two!